Nana Darkoa Sekyiamah, Communications Specialist, AWDF and the designated staff member leading on the organisation of the 2nd AWIFF talks with Beti Ellerson about the 2nd African Women in Film Forum, its objectives and desired outcomes. It will be held in Accra, Ghana from 23-25 September. The first African Women in Film Forum (AWIFF) was held in 2010 in conjunction with the Lufudo Academy of Performing Arts led by Joke Silva, the internationally recognised Nigerian actress. The theme for that event was 'Nollywood: Women and the Dynamics of Representation', and the focus for that first forum was very much focused on the Nollywood industry. The rich dialogue on the representation of women in Nollywood was kicked off appropriately by a paper presented by Dr Abena Busia, with the title 'Of Cooking, Cars and Gendered Culture'. Professor Busia's paper really spoke to the importance of the Nollywood industry, and its influence on how the rest of the world sees African women. This gave a solid foundation to the subsequent panels and discussions which delved deeper into the issues that arise from limited representations of African women in film. One of the sessions that got everybody buzzing was entitled 'Saints, Whores, Nags and Witches'. Dedicated viewers of Nollywood might recognise some of these familiar tropes. The evil mother-in-law, the conniving-husband-stealing woman, the Sugar-Daddy-seeking-school girl, the dedicated-church-going wife. These one dimensional characters are not complicated enough, and the AWIFF stressed the importance of showing the full breath of African women's lives. Bibi Bakare Yusuf of Cassava Republic Press who also participated in the forum spoke about the importance of creating artistic works and films that speak to the kind of future we wish to inhabit. That for me was a very important point to make, and one that I also believe. Our reality should not limit our creativity. Our creative expression can also help shape and guide our future reality. 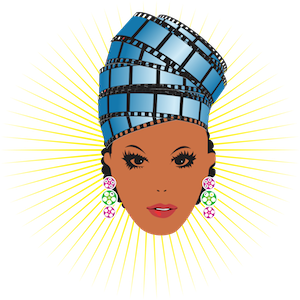 What are the overall objectives of the African Women in Film Forum? AWDF conceptualised the AWIFF in order to utilise the power of film to accelerate efforts towards gender equity and social justice. We think filmmakers have a powerful role to play in shifting or reinforcing patriarchal attitudes, and we want to work with filmmakers to create a better world for women, and the community at large. What were the responses to the First Women in Film Forum? The response to the first AWIFF was extremely positive. We had many stakeholders in the Nollywood industry represented including key players such as Amaka Igwe, Tunde Kelani and Emem Isong. Time and time again during the first AWIFF participants expressed the importance of creating such a space, and the relevance of maintaining this space. What were some of the outcomes? Were there initiatives that followed? One of the most significant outcomes from the first AWIFF was the decision AWDF took to include the thematic area of 'Arts, Culture and Sports' in our work. This allows us to dedicate more resources towards creating change through popular culture and the Arts. At the first AWIFF, AWDF also committed to support the work of filmmakers telling compelling stories which portray African women in our full diversity. As part of this initiative we are supporting the production of Akin Omotoso's next film, 'Tell Me Something Sweet'. Akin Omotoso of Tom Pictures was a participant in the 1st AWIFF. AWDF also committed to continue to convene the AWIFF as a space for African filmmakers to dialogue around issues of gender, and African women in the film industry more broadly. This is why the 2nd AWIFF which is scheduled for the 23rd-25th of September is Pan-African in nature with representation from across the continent and Diaspora including Burkina Faso, France, Ghana, Cote d’Ivoire, Nigeria, South Africa, United Kingdom, United States of America and Zimbabwe. Is an objective also to rotate the AWIFF throughout the continent? Absolutely. The first AWIFF took place in Nigeria because it was aimed at the Nollywood Industry, and so Lagos was the logical city to host the AWIFF. This time round the forum is in Accra, Ghana. The next forum will definitely be held outside of West Africa, and perhaps in a Francophone country. What would you like to achieve at the 2nd AWIFF? - Engage with the Ghanaian public on the importance of diverse gender representation in the film industry. 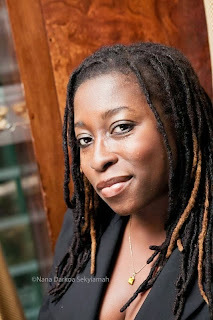 Interview with Nana Darkoa Sekyiamah by Beti Ellerson, September 2013. - What types of scripts are African women dramatists/film makers producing? - What are the practicalities and challenges of producing a script? - Where do women find the money to write? - What agendas do NGOs have in filmmaking? - Which audiences are women dramatists aiming to reach? - What distribution channels are women filmmakers using? This session is an opportunity for funders and filmmakers to have an open conversation about funding opportunities, challenges and to identify ways of working together . This session will focus on how to find producers and co-producers for your film project. This will include the artistic development of a project, and practical insights on how to meet key people in the film industry, whilst gaining recognition in the international film world. The Ghanaian Film and Television Industry: Challenges, opportunities and the way forward.